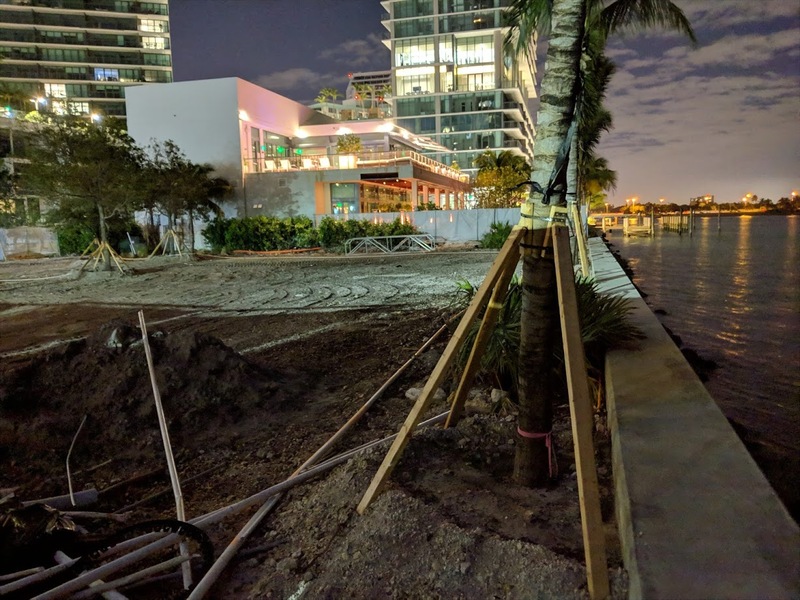 Construction is underway in Edgewater on Paraiso Park, a new bayfront public park that will include a baywalk. 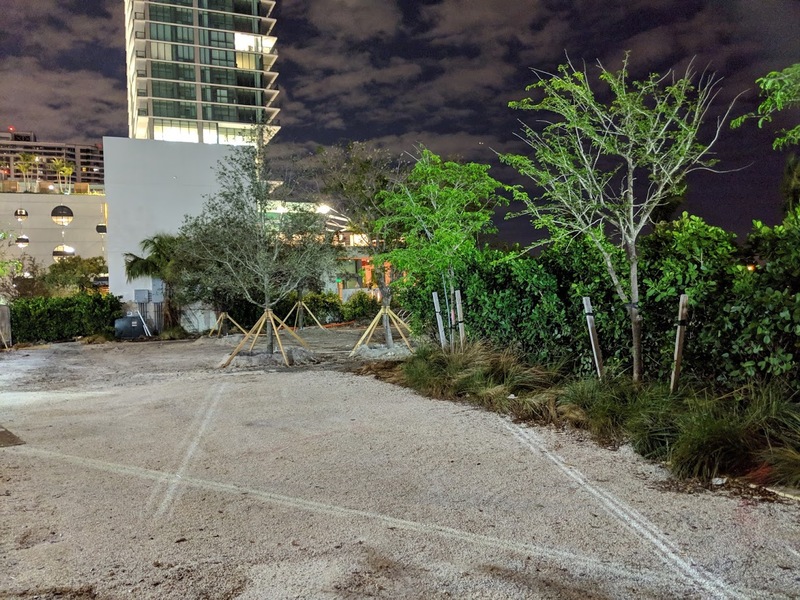 The land has already been deeded over to the city, records show. 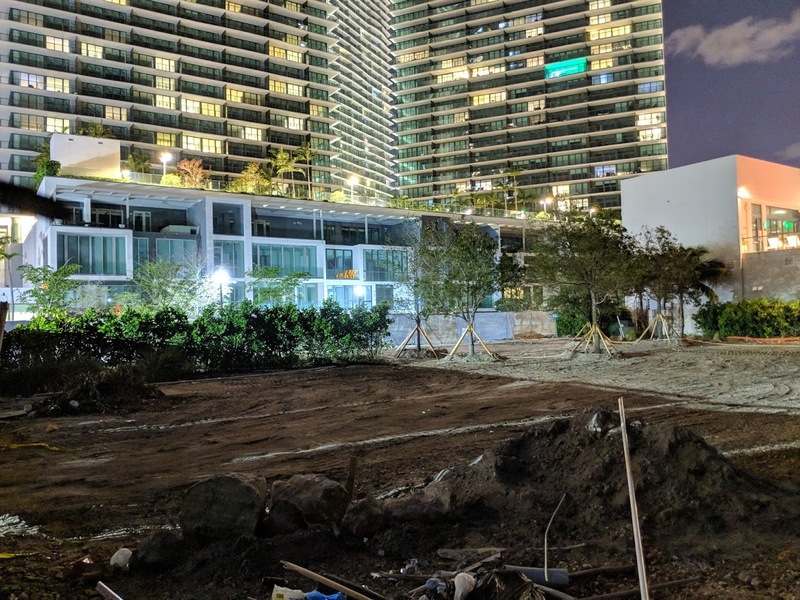 Related Group is building the park as part of a deal with the city in which Northeast 31st Street was closed to allow for construction of the Paraiso District. 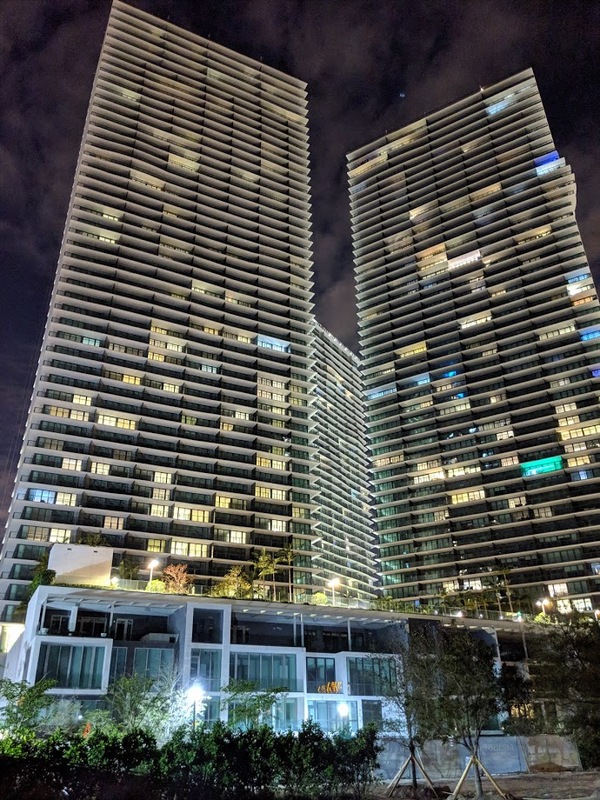 The park will be maintained by the private owners in the new neighborhood. 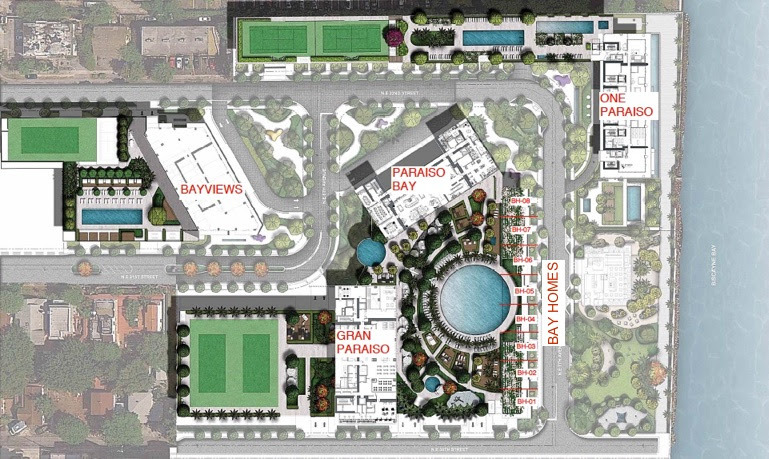 Plans show that the baywalk will be extended from behind the Amara restaurant and One Paraiso tower. 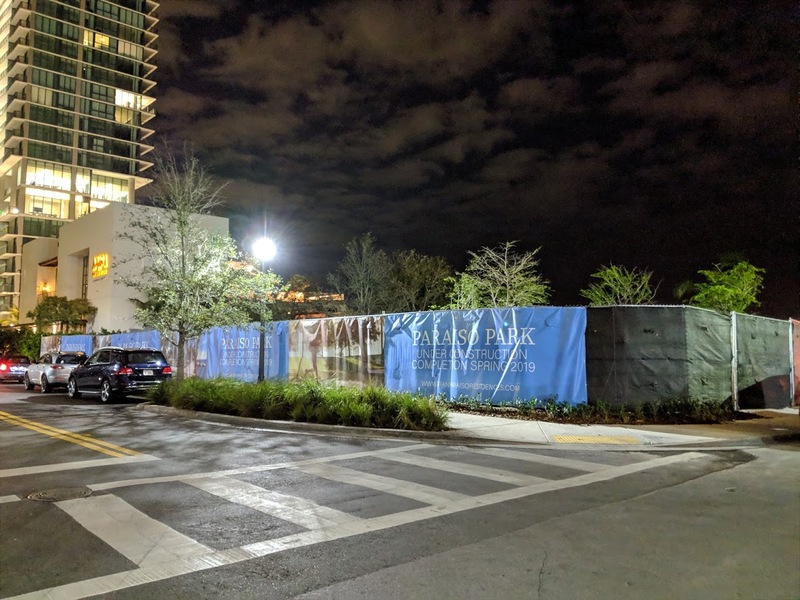 There is no further connection of the baywalk to the north and south however, although some residents are calling for the city to build it.